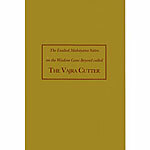 This PDF is the English translation of the Sanghata Sutra suitable for use as a guide so that students may write out the Sanghata Sutra by hand. Please note that the type in this PDF is a light grey color, and therefore not easy to read. If you would like to read the Sanghata Sutra then click here for the eBook/PDF version of the sutra with black colored text on a white background. 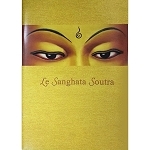 The Sanghata Sutra is a Mahayana sutra containing stories illustrating the power of invoking the bodhisattva wish when interacting with others; and the power of past and present actions to produce expansive results. Imbued with the blemahayanassings of the power of prayer invoked by Shakyamuni Buddha himself, recitation of this sutra produces a great mass of positive karma that can quickly ripen, even in this life. "According to this sutra, the merit you collect by hearing the Arya Sanghata Sutra is equal to the merit of the number of buddhas equaling the number of grains of sand in the Ganga River, multiplied by twelve. And these grains of sand are not the ordinary type. It is explained in the teachings, in the great enlightened Pabongka Rinpoche’s notes, that these grains are made of extremely subtle atoms. There are seven kinds of subtle atoms: water atoms, earth atoms, and so forth. These sand grains are much, much finer than the normal kind. If you read the Arya Sanghata Sutra, you collect far greater merit than just through hearing it, and if you write it, there is even more merit." Format: PDF A4 and A5. 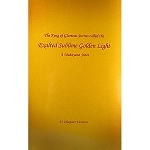 Made available through the generosity of Amitabha Buddhist Centre in Singapore. Click here for eBook/PDF non-traceable version.